DescriptionA string of gorgeous white cotton bunting with alternate lace edged and plain triangles. 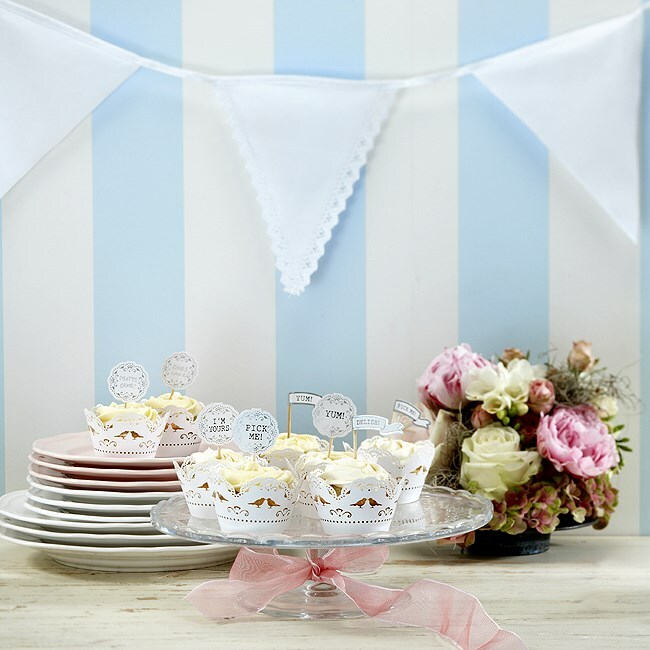 This beautiful white cotton bunting is a stunning way to decorate a wedding venue adding a romantic touch. Length approx. 3.5 metres Each flag is 18.5cm wide and 22cm long. 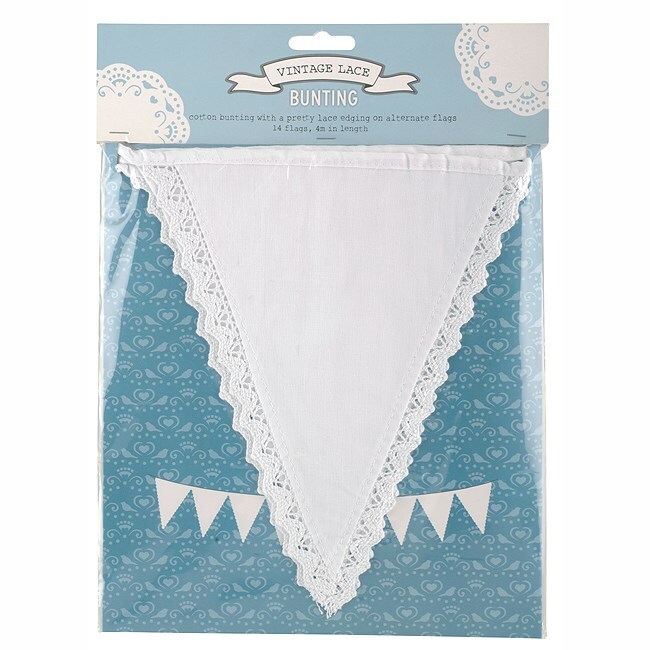 A string of gorgeous white cotton bunting with alternate lace edged and plain triangles. This beautiful white cotton bunting is a stunning way to decorate a wedding venue adding a romantic touch. Each flag is 18.5cm wide and 22cm long.